A funny quote on friendship for free download. This quote would realistically suit for people who have a close and best friend. The first person to share all our feelings would be best friend. Its hilarious but true that when we get excited, we go mad with our friends. 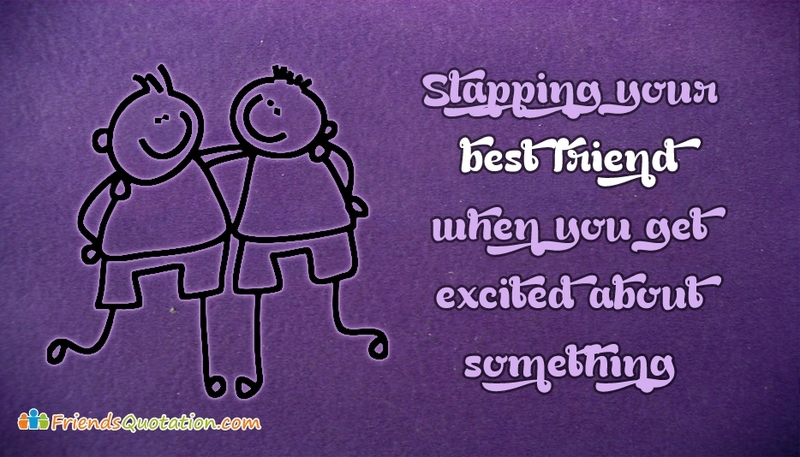 Dedicate this "Slapping Your Best Friend When You Get Excited About Something" image to your best friends by sharing it on any social media.